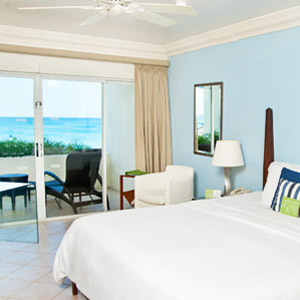 The boutique-hotel revolution was a bit slow in coming to the Caribbean, where the classic hotels were doing just fine, and the appeal, anyway, was less about the hotel itself and more about the sun, sand and surf. 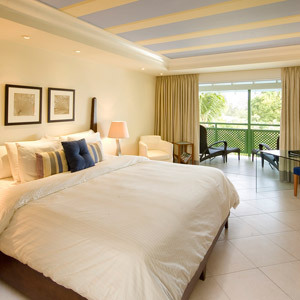 These days, however, the boutique style is the new normal, and even a Caribbean classic like Mango Bay, a 76-room all-inclusive hotel in Holetown, on the island’s west coast, can be counted on to evolve in a more contemporary direction. This means, above all, a total lack of floral bedspreads or other traditional island kitsch. The look is cool, clean, and modern, and while there’s nothing particularly revolutionary about it, there’s no question both the boutique aficionado and the Caribbean traditionalist will feel right at home. Furnished balconies and patios are universal, though views vary — it’s worth booking an ocean-front room for the full experience. There’s a spa and a fine little gym, as well as a swimming pool and a remarkably scenic stretch of beach. 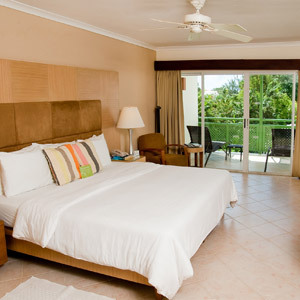 And as an all-inclusive, Mango Bay features some impressive extras in the rate — not just food and drink, but water sports as well, from snorkeling to waterskiing and most everything in between. 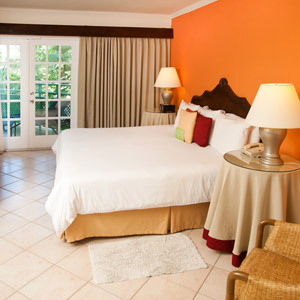 Mango Bay is a 25-minute drive from Bridgetown and 45 minutes from Barbados International Airport. Please contact Customer Service for information on arranging transfers.